​Image: Historic image of marketing art for World Savings Day in Italy. ​​​​​​BRUSSELS, 29 September 2016 – World Savings Day happens next month on October 31. As WSBI-ESBG and its members ramp up their activities, its time to look back at the history of the celebration. The World Savings Day was established on October 31, 1924, during the 1st International Savings Bank Congress (World Society of Savings Banks) in Milano, Italy. The Italian Professor Filippo Ravizza declared this day the "International Saving Day" on the last day of the congress. World Savings Day, or World Thrift Day as it was also called, was established to inform people all around the world about the idea of saving their money in a bank rather than keeping it under their mattress. A theme often used throughout its history is saving money to gain a higher standard of life and to secure the economy. 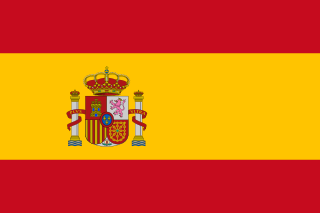 Examples include in Spain where the first national thrift day was celebrated in 1921. In other countries, such as Germany, society's confidence in savings had to be restored since the turmultuous German monetary reform of 1923. After the Second World War, World Thrift Day continued to thrive. Today, countries all over the world continue to celebrate the day.